The sound of harp strings played with sacred intent in the heart of nature's wild places, takes us step by step into the realm of spiritual experience. 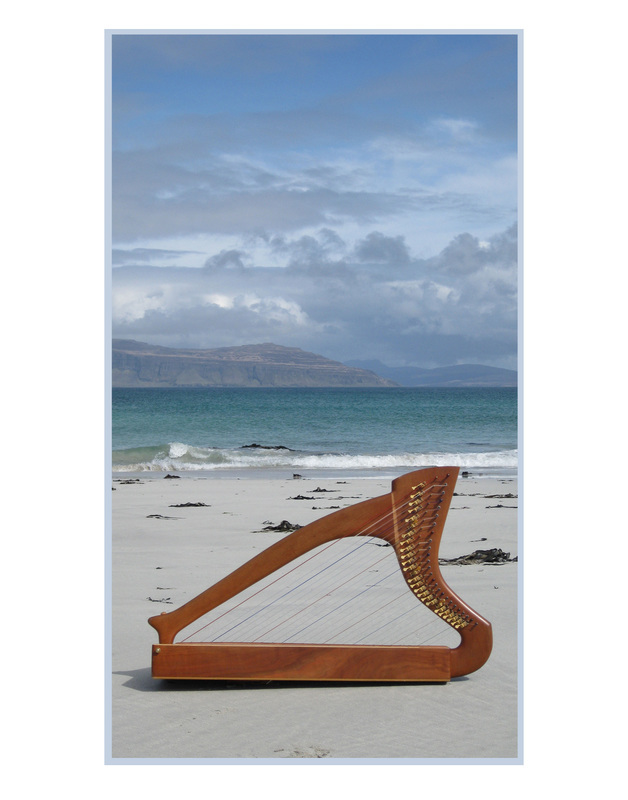 The ancient art of harp music and the spoken word, leads us to that secret place in our hearts where we hear the voice of Truth - our Truth, The Divine Truth of who we really are in our deepest essence. Our Celtic ancestors knew this, as did ancient cultures across the world. In the holy places of our ancestors we can hear the wind play the harp strings by the foaming wave, and allow the secret vibrations of centuries of devotion to enfold us. Beauty and peace bring deep nourishment for body, mind and soul. Sacred art, music and poetry takes us beyond the mind, beyond physical reality, to the world of Mystery, where the secret dialogue of the Soul with the Beloved can be known. This experience can be yours.